Who Are the Oakland Atheltics? UPDATE - In 10 games, the A's have won three by a combined score of 42-1 and lost five by a combined score of 32-14. The Oakland Athletics started the 2015 MLB season with a 4 game series split with the Texas Rangers, at the O.co Coliseum in Oakland. Game 1 was an 8-0 beat down of the Rangers, which started off with a bang. Ben Zobrist hit a 2 run homer off Yovani Gallardo in the 1st inning, his first AB after being acquired in a trade with the Tampa Bay Rays. They would tack on 2 more runs in the 4th, before Stephen Vogt hit a 3 run home run in the 7th inning and adding an insurance run in the 8th, on a Billy Butler double. Butler signed with the team this Winter. Sonny Gray was magnificent in his season debut, carrying a no-hitter into the 8th inning, before Ryan Rua signed. In game 2, Colby Lewis tamed the A's bats in a Rangers 3-1 victory, allowing just 3 hits over 6 innings and just Eric Sogard ground out RBI. Jesse Hahn pitched 6 innings, allowing 7 hits and 3 runs to score. Prince Fielder knocked in 2 runs and Elvis Andrus scored the third on an error. Brett Lawrie struck out 4 times in 4 ABs on just 12 pitches. Oakland came back the next night and beat up on Ross Detwiler, scoring 8 runs in 5 innings. Five of them in the 3rd! The A's won 10-0. Mark Canha made his name known around fantasy baseball, picking up 3 hits and 4 RBI. Scott Kazmir struck out 10 Rangers in 7 shutout innings, allowing just 1 hit. An afternoon game wrapped up the series and Texas came out swinging, scoring multiple runs in 3 of the first 4 innings. Kendall Graveman made his first MLB start and allowed 8 runs to score in 3.1 innings. Mitch Moreland and Shin-Soo Choo homered off the young righty. Oakland welcomed the Seattle Mariners to town on Friday Night, and one of baseball's top pitching prospects, Taijuan Walker, took the mound for Seattle. The Athletics scored 9 runs off the Louisiana native, who lasted just 3.1 innings. Canha hit a 2 run homer in the bottom of the 2nd, has 3 more hits and scored 3 times! Ike Davis hit two 2 run doubles. Drew Pomeranz allowed just two hit over 7 innings. 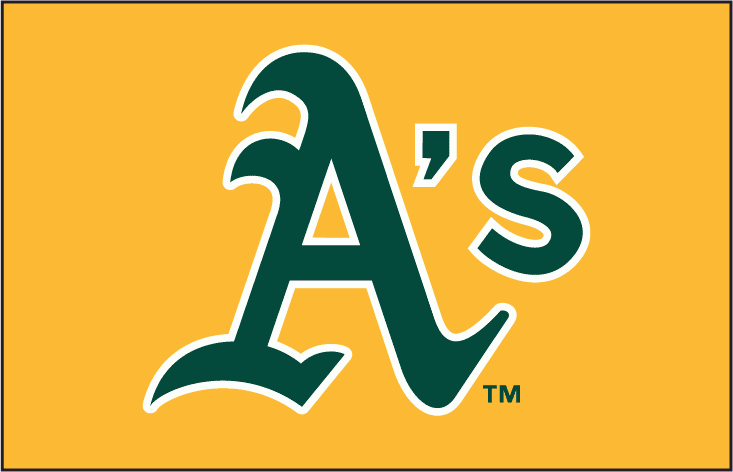 Oakland won 12-0.
Who are the Oakland Athletics? Are they a team that is going to score run in bunches? Is their pitching staff going to pitch gems every start?